Assisted Reproduction Technology has created many alternatives for families with infertility to build their families. However, it has also created many legal issues due to the slow nature of the law to keep up with this rapidly evolving technology. One extremely complex area of this law is dealing with frozen reproductive material that is in storage at a sperm or egg bank after a loved one dies. Examples of legal issues include the legitimacy of the child born, inheritance rights of the child, psychosocial/psychological issues, grieving period prior to deciding when and how to use reproductive material, and the “shelf-life” of the preserved reproductive material. Recently, a woman in the UK won a court battle to stop her deceased husband’s frozen sperm from being destroyed. The husband had sperm frozen before starting cancer treatment and signed paperwork saying his wife could use the sperm after his death. After the husband died, he could no longer update his consent for the sperm to stay in storage so officials sought to destroy it by April 2015. The woman won the right to extend the preservation of the sperm until 2023. 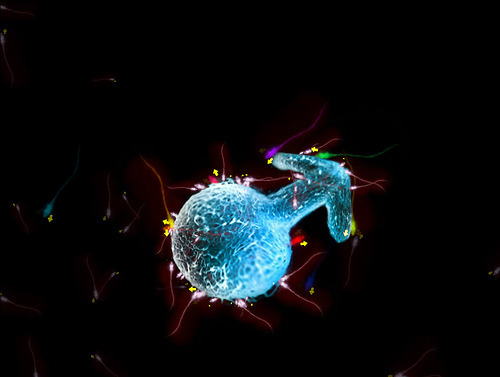 The woman has not decided when and if she will use the sperm to have a child. This story is not that uncommon. There are plenty of situations when individual are faced with the diagnosis of a terminal disease, or another illness that threatens their ability to reproduce so they make plans to have their reproductive material cryopreserved for future use by their significant other. The legal question remains: Did the donor explicitly give consent, simply by donating their material, for future use? What if it is written in a last will and testament? The law previously addressed these issues by enacting paternity statutes to prevent subsequent children from emerging and claiming that they are entitled to some inheritance money indefinitely. However, now that technology has advanced, these paternity statutes don’t necessarily apply. So how does the law handle it in these emerging situations? Indiana allows claims of paternity for up to 11 months after the death of the parent. That would mean the widow(er) would be required to get pregnant within 2 months of the death or the child would lose rights to any inheritance or benefits, as well as possibly losing the ability to establish their heritage through paternity or maternity which could potentially cause psychological issues for the child. However, without these statutes any heirs would not be able to collect their rightful share until the estate is closed. These are examples of the ongoing ethical and legal dilemmas surrounding cryopreservation and posthumous use of reproductive material. Should you have a legal matter regarding Assisted Reproductive Technology, contact an experience attorney. Call Harden Jackson Law at 317.569.0770.